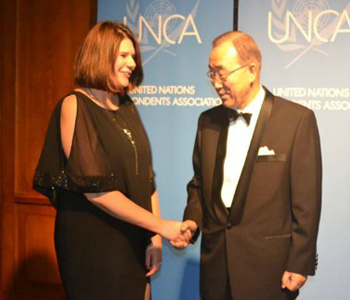 This November marks the 1 Year Blogiversary of World Moms Blog! Bloggers, this upcoming Wednesday, Thursday and Friday link up with World Moms Blog and help us celebrate! Here’s how! 1) Write a post about something in your own culture and motherhood on your personal blog. 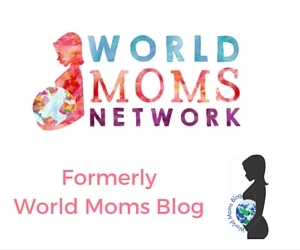 2) Grab our special “World Moms Blog Link Up!” button from here. And, post it on your site after your blog post. 3) Enter the link to your blog post on our site November 2-4th! 4) Be sure to a) comment on the link prior to your own link and b) comment on the link after your own link and spread the global World Moms Blogiversary love! 5) And, be sure to get your friends to come on over and “Like” your link! The blogger with the most “Likes” will be featured on our Facebook Page! We know that our readers hail from even more places than the 15 countries that we write from, and among the countries that we do write from, so many different cultures abound — we look forward to reading and commenting on all of the wordly posts! 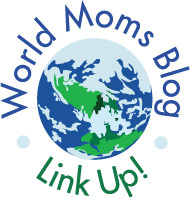 World Moms Blog “Link Up!” logo was designed by Erica Joyner Designs of Virginia, USA. « Saturday Sidebar: What negative experience affects how you parent? So excited to read all of the posts! Great idea Alison! I’m really excited about this, too!!! 🙂 What a great way to talk more about motherhood and culture!! Will definitely promote this on my blog! Thank you, Carol! 🙂 Woohoo! Just updated this post — I had to fine tune the directions (ok, I messed them up the first time! lol! ), and I added the part about the voting to make it even more exciting! Great idea! I’m writing tonight and will link up tomorrow!